Perhaps the best feature of the Monday Group is that everyone involved is committed to the work and empowered to get on with it. Whilst we’ve never had a formal membership structure, we always welcome the offer of new people and more physical help – and would love to see you get involved. Our structures teams build and install our stiles, bridges and steps. Our biggest groups are the clearance teams of men and women who work to keep public rights-of-way free from obstructions. There are several clearance teams working in different areas of Mid-Sussex. Contact us for more information about your nearest clearance group and how you can get involved. 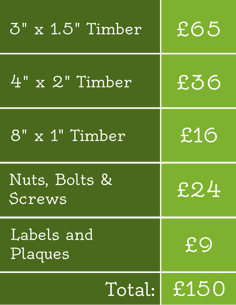 Unfortunately none of the work we do is possible without sufficient funds – the materials for even a single stile cost approximately £150. Sponsoring a stile or making a smaller donation is possibly the easiest way to contribute to our work and to help us maintain easy access to the Mid-Sussex countryside. You can donate online or by cheque using the ‘Donate Now’ button to the right, or if you wish to sponsor a stile please get in touch.